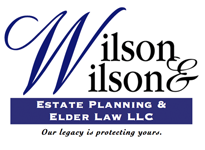 In most circumstances, a surviving spouse cannot be completely cut out of a will. The community property states (Arizona, California, Idaho, Louisiana, Nevada, New Mexico, Texas, Washington,Wisconsin, and Alaska -- if spouses sign an agreement creating community property) have their own rules about what spouses own and can claim. Basically, each spouse automatically owns half of what either one earned during the marriage, unless they have a written agreement to the contrary. Each spouse can do whatever he or she likes with his or her own half-share of the community property and with his or her separate property.